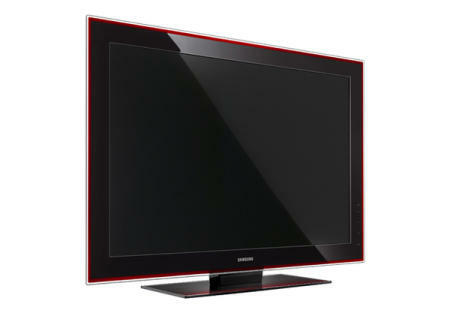 Samsung has released a new range of HDTVs called the Samsung Series 7 range. The interesting thing about these high-end TVs (apart from their great looks) is that they’re designed not just for watching TV, but also for viewing content from all manner of sources. There’s a USB connector, for example, for plugging in your PMP, digital camera, camcorder, or anything else with a USB output. The Series 7 HDTVs are also DLNA-equipped, meaning they can seamlessly sync with other DLNA-equipped devices, such as your mobile phone or digital camera, and view all of the content stored there. Best of all, though, is what Samsung is calling InfoLive: RSS content feeds delivered live to the TV via WiFi, with the information provided by Yahoo! Think of it as an extended (and hopefully less frustrating!) version of teletext,as it offers up to the minute news,weather and finance information directly to your TV. In addition, with DLNA and WiFi, these wonderfully flexible TVs will let you share content between any device in your house. Not only can you view all the pics and videos from your phone (wirelessly too, remember), but also all the content you’ve download onto your PC. Even more impressive, if you have a DLNA-equipped printer, you can print off any image directly from your TV, and all wirelessly. The Series 7 TVs are high-end, and so,as you’d expect,come with some seriously impressive specs. There are two different types of technology used: Plasma and LCD. 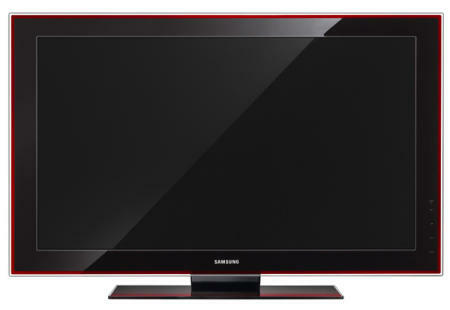 The three plasma models (in sizes of 50, 58 and a whopping 63″) feature full 1080p High-Def resolution, a 100Hz refresh rate, and a claimed 1,000,000:1 contrast ratio. It’s good to see Samsung recognizing the changing ways we use our TVs now, and designing their new TVs to accommodate the broad range of content that we wish to view. TV has changed forever, and so naturally the TVs have to adapt to all the user generated content we now have, and the plethora of different devices on which it’s stored. Now all they need to do is to provide the same technology seen in the Series 7 TVs onto their TVs that are much lower down in the range, as we haven’t all got thousands to spend on our new TV!